Marriage Proposal 101 | Wedding Ideas ARE YOU A VENDOR? 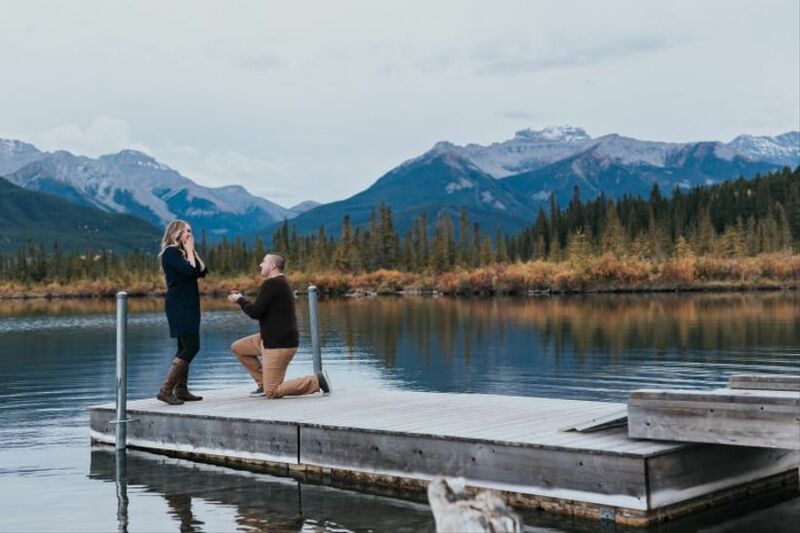 Don’t have a clue where to begin when it comes to proposing? We’ve answered all the essential marriage proposal questions to help you out. Proposing marriage can be quite a nerve-racking experience. 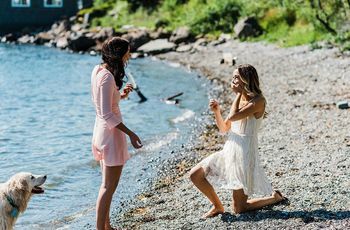 Sure, you’ve probably seen your fair share of marriage proposals go down on TV, but you probably haven’t done it yourself. If you’re ready to ask your partner to marry you but don’t know the first thing about dropping down on one knee, we’re here to help. This is marriage proposal 101. 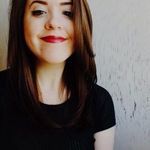 When should I propose marriage? When you know, you know. It could be five months, five years or even decades into your relationship. Getting hitched is a big deal, so you definitely shouldn’t jump the gun when making this decision. To help you out, here are 22 questions you should ask yourself before proposing. Keep in mind that you’ll want to propose when your partner is in high spirits, not when they’re stressed, angry or grieving. 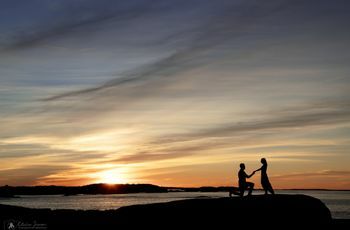 Where is the best place to propose? The location for your marriage proposal should hold some meaning for the two of you; it could be at the restaurant where you and your partner had your first date, it could be in front of the Eiffel Tower, heck, it could even be in the comfort of your own home. Find something that fits your relationship, not someone else’s. 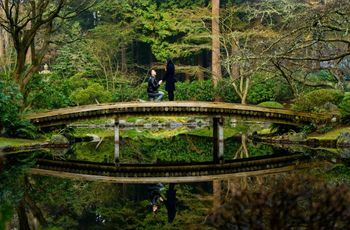 We’ve put together lists of the most romantic places to propose in Canada to give you some proposal ideas. You don’t have to invite anyone other than your S.O. if you don’t want to. 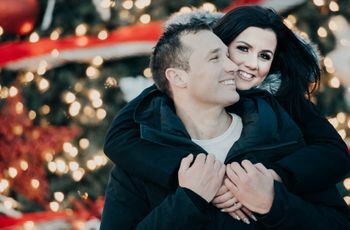 However, if you’re super tight with your families or think having a few close friends there would make your marriage proposal a bit more magical, go ahead and bring ‘em along for the ride. One thing you may want to steer clear of? Dropping down on one knee in front of a huge audience of strangers (like at a sports game, for example). This can put unwanted pressure on your partner or force them to freeze up. How do I pick an engagement ring? Choosing an engagement ring can be tough, especially if your partner hasn’t dropped any hints about what they like. If you don’t know where to begin, consider purchasing a placeholder ring and then have them choose their own rock post-engagement. That way they’ll get something they really love. What do I say when proposing? The next steps are to announce your engagement and take care of these engagement ring details. Then don’t jump the gun after you get engaged and start inviting people. Start with these 5 things you need to do to start planning your wedding, but if you’re not quite ready to dive head first into the wonderful world of weddings, you can always extend your engagement.